Phase 2 of the diet starts on the third day. You should wake up feeling like you couldn't take another bit of food even if you wanted to! You now take your HCG at the time you selected and reference your food list for the amount of time you have chosen to do the diet for. People who need to lose 30 lbs or more may choose to do the diet for the full 40 days. 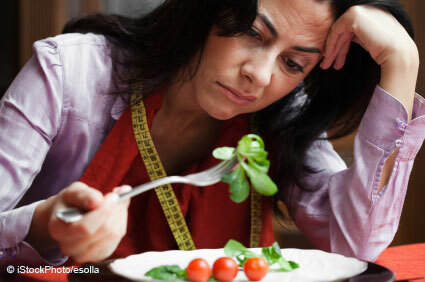 Because most people lose 1- 1.5 pounds a day you want to make sure that you choose a realistic time frame for your diet. Someone who needs to lose 10-15 pounds does not need to do a 40-day protocol. Phase 2 consists of a 500-calorie diet drinking lots of water along the way. Breakfast should consist of your morning coffee or tea sugar is not allowed however stevia or sweet-n-low are good alternatives. With sweet-n-low it is important not to use more then 1 package just because it may contain it little bit more sugar supplements then other alternatives. With coffee 1 tablespoon of milk can be used but only 1 per 24-hour period. For lunch you are to eat a weight of 100 grams of protein each day. On a scale with ounces this may be about 3.4, but it varies with items. When weighing out your foods, make sure that it is indeed raw and unfrozen to get an accurate weight. Protein consists of lean beef, chicken, shrimp, lobster, crab, fish or veal. When using ground beef you want to choose something such as 93/7 or something close, this means that it is 97% lean 7% fat. The less fat the better! Be careful when choosing a fish, there are some sources of fish that are very high in fat such as salmon, catfish, tuna and eel. Tipila however is always a great choice and also very easy to find in almost every market. Make sure that all your meat is stripped of any visible fat. You are allowed 1 vegetable at lunch, which you also need to find from your food list. Some examples are tomatoes (1 whole), lettuce, spinach, cucumbers, cabbages and asparagus. Most types of lettuce and greens are allowed. One type of bread stick or melba toast goes with every lunch. Both are pretty easy to find in the store but make sure to check the box for any added cheeses or seasonings, plain are always better! Fruits consist of 1 whole apple, ½ a grape fruit or a handful of strawberries, I say about 6. Dinner is the same as lunch 100 grams of protein, 1 veggie, fruit and your bread stick or melba toast. Oils for cooking are not allowed! On a lot of the vegetables, the original diet doesn’t seem to come with any instructions as far as quantity goes, you just have to use your best common sense. Most vegetables such as lettuce and greens are fillers, so a salad size is best. You will find that most veggies are very low in calories! Now the original diet does not say you can mix your veggies, but I never saw any change in my diet by making a small salad using 2 or 3 ingredients from the list. Dressing however is very restricted. No oils or high fat or sugar dressing are permitted at anytime. Apple Cider Vinegar, Red or White Vinegars are always good choices. Seasoning, however is another thing most every type or seasoning are ok. Salts, Peppers and spices are never very harmful as long as no sugars exist in their ingredients. Sauces such as mustard, hot sauce, teriyaki, and others that mainly consist of sodium are safe choices. Make sure to read labels! If it has less then 2 grams of sugar its probably safe to use a little for taste, but don’t drown your food in it. Also when your body’s intake of sodium reaches high levels your body reacts by retaining water which could make a difference on the scale, so keep that on mind and be sure not to over season! During phase 2 Cosmetics and moisturizers are also restricted do to your body’s ability to absorb the fats you skin comes in contact with. Stay away from the massage parlor! Getting a massage can be very damaging to your diet! When getting a massage, fat stores are moved around and tissues are adjusted which might interrupt a certain area your body was burning. Just because you're on a diet, it doesn't mean you can't get creative! 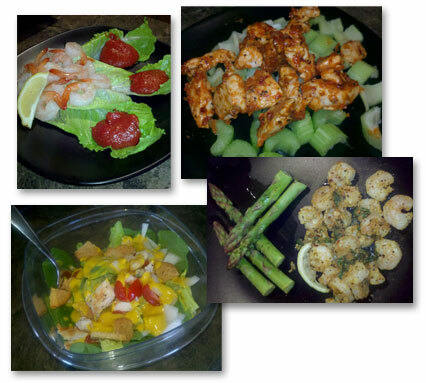 HCG recipes are a great way to add some fun to your meals! Click here for some great meal ideas!